The best mushroom soup I’ve ever eaten lives at The Cafe at the Frick in Pittsburgh, PA, years ago. I remember that it was a stock based soup, with just a tiny bit of cream, and that it had capers. It was amazing, and every time I go back to the Frick I hope they have it on the menu. 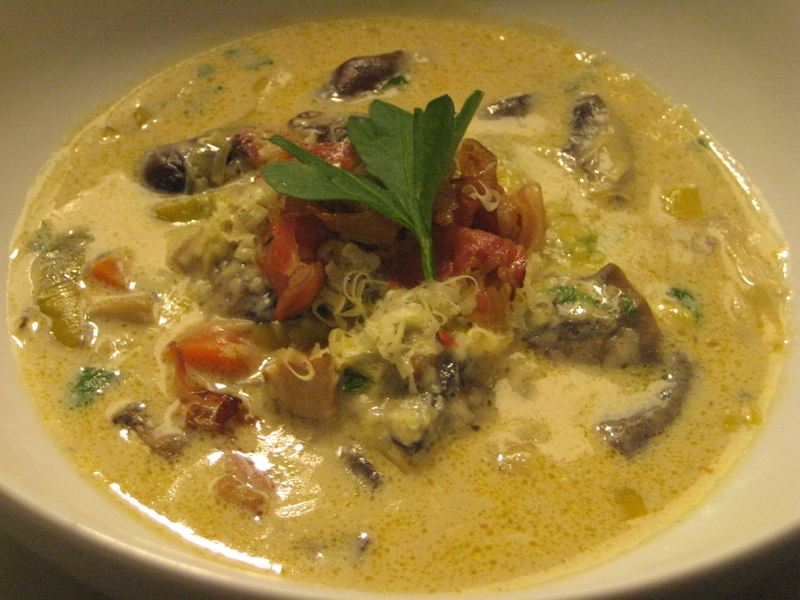 This mushroom soup is not as good as the Frick’s, and I am not so bold as to try capers in a knock-off. But it is hearty and flavorful, the gruyere adds a nutty layer, and the pancetta, well, who really needs an excuse to use pancetta? Clean any dirt off of your mushrooms by wiping with a paper towel- do not wash them (don’t want soggy mushrooms). Chop into bite size pieces. In a large pot, add the olive oil, onion, carrot, thyme, and sage into the pan with 1 tsp salt and a few dashes of pepper. Saute over medium heat for 10 minutes. Add chicken or mushroom stock and lemon juice, bring to a boil, then leave simmering. In another large pot, melt the butter and add your leeks. 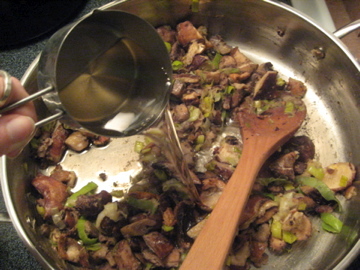 Saute until leeks are soft (about 10 minutes) then add mushrooms and cook until tender. Add 1/4 cup of flour and stir just until incorporated – you will have what looks like mushroom goo in your pan. 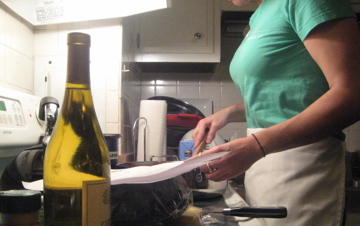 Add your white wine (I used Chardonnay) and stir, scraping the bottom of the pan. 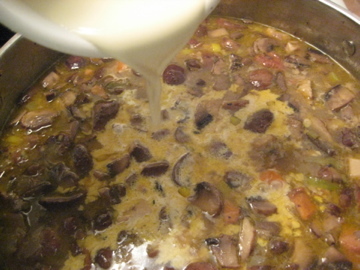 Add your simmering stock mixture as well as another tsp of salt and pepper, bring to a boil and then reduce to a simmer. Add cream, parsley, and 3/4 cup of gruyere, stir until incorporated. Leave soup simmering for 30 minutes. In the meantime, cook your pancetta in a pan until crispy, add half to the soup. Once your 30 minutes has elapsed, taste soup and adjust salt and pepper if needed. Top with remaining gruyere and pancetta. Voila.